Looking for a rock star head horse that is a pleasure to own and a good looking gentleman to boot? We give you, Diesel. He is a real nice, ready to go head horse. We have had him for some years and he is the same horse everyday. He scores flat footed, rates off cattle and has a sweet move on the corner. He truly is a fun horse to have. Diesel also has a good start heeling and it wouldn’t take long to have him finished to a pretty awesome switch-ender and his stop says it. Stands 15hh and weighs right at 1200#s. 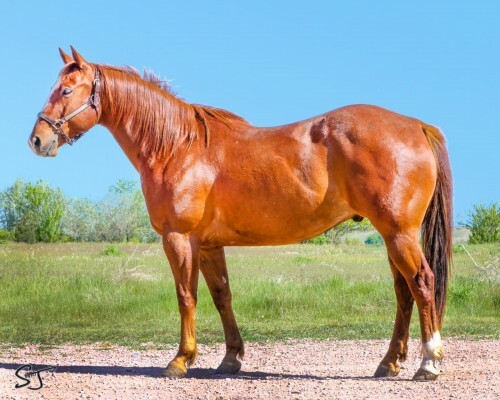 He is great with other horses and is easy to catch. Come turn some steers and we know you will like what you feel!